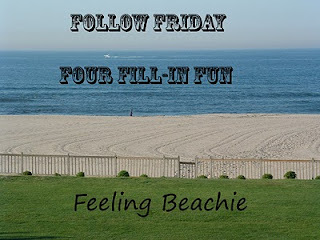 Happy Friday friends and today is Hilary's Feeling Beachie's, Follow Friday Four Fill-In Fun Hop! 1) I can’t help it, but every time I see "My Mom" I smile. 2) Every time I smell "Donkey's" I am immediately transported back to my childhood. 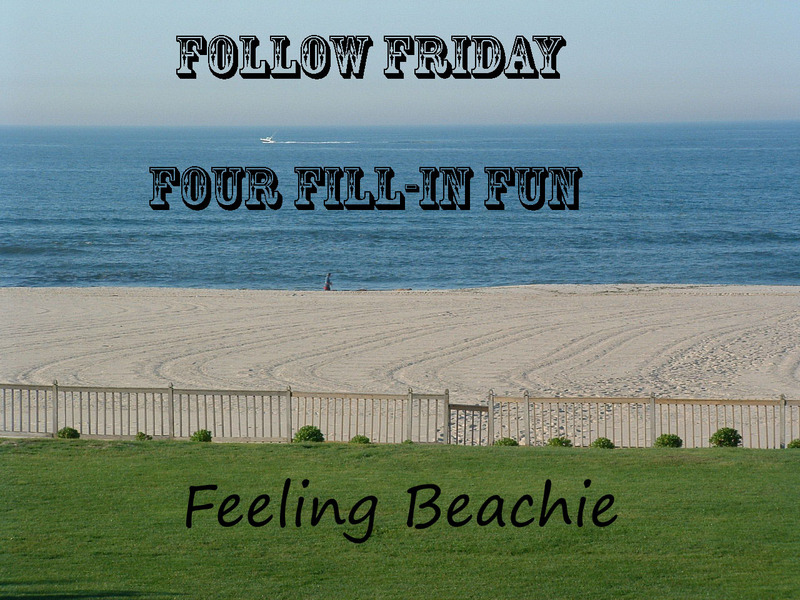 3) When I was little I wanted to be a "Fire Rescue Dog". 4) If I had to eat only one meal for the rest of my life it would be "Chuck Wagon, Prime Rib". Hey, Mom, how do you spell that? Great job, Buffy. Phantom really loves the donkeys too. I have never been very close to a donkey to smell him but I really love them! Good job Buffy! Thanks for joining the hop! You are a better speller than me! It's always fun to learn more about our fur-ends!